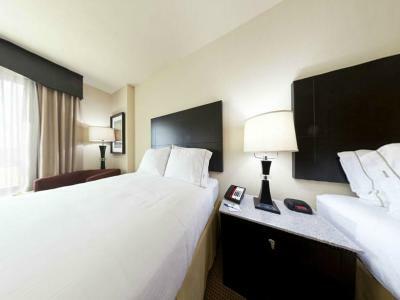 Lock in a great price for Holiday Inn Express-International Drive – rated 8.8 by recent guests! The comfort and cleanliness of this hotel was not a surprise, but the variety offered on breakfast. More protein options over excess of breads/sugary items. Well done. I liked that there was a shuttle service to Universal Studios. Hotel is clean, free parking, pleasant and helpful staff. Nice pool, though on the small side. Good perks like coffee any time of day or flavored iced water available any time. Room was very clean, staff was very friendly, location was great in walking distance of a lot of dining places and attractions. This Holiday Inn Express is awesome in every way! The customer service and professionalism of the staff is second to none! 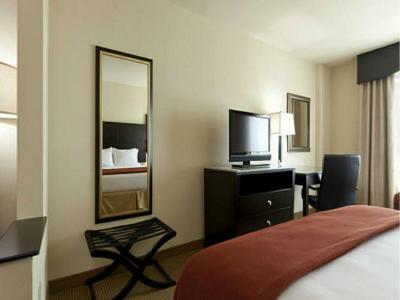 The entire property including the guest rooms and amenity areas are super clean; literally spotless. The beds are those of a 5-star hotel. The location is quite close to Universal Studios but it's still the best kept secret in Orlando. I have stayed here many times and they have always exceeded my expectations and that's hard to do since I am a Property Manager of Premier Class A properties in Atlanta. Clean, comfortable bed. Rooms were up to date. Convenient to attractions. It was located in a convenient space. The breakfast was excellent. The room was comfortable. The only drawback was that the parking spaces were limited. Everything was great. Great big bathroom. Good tv. Comfy beds. The staff was very friendly, the breakfast was great, and the room was clean. It was clean and location was convenient. The staff was very helpful. 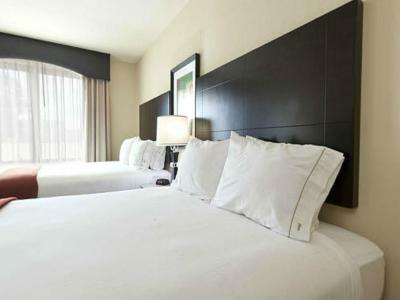 Holiday Inn Express-International Drive This rating is a reflection of how the property compares to the industry standard when it comes to price, facilities and services available. It's based on a self-evaluation by the property. Use this rating to help choose your stay! One of our top picks in Orlando.This Orlando hotel features a complimentary area shuttle and a gift shop. A buffet-style breakfast is served every morning alongside complimentary coffee in the lobby. Universal Orlando Resort is 3 mi away. 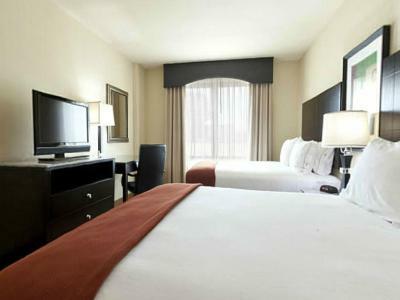 Cable TV is available in every room at the Holiday Inn Express-International Drive. Other helpful amenities include a coffee maker, hairdryer, and iron. Rooms are also furnished with a work desk. 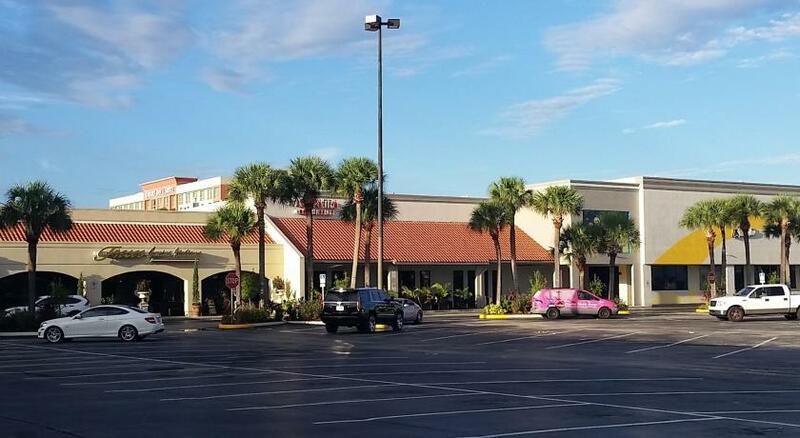 The International Drive Holiday Inn Express features a large outdoor pool, hot tub, and 24-hour fitness center. A 24-hour business center and an ATM are also on-site. Disney World is 11 mi away from the Holiday Inn Express-international Drive. SeaWorld is an 8 minutes' drive away. When would you like to stay at Holiday Inn Express-International Drive? Suite has seating area with sofa bed, kitchen with microwave and refrigerator, and wet bar. This room includes flat-screen cable TV, desk, and tea and coffee-making facilities. Suite has microwave, refrigerator, and wet bar. Suite includes microwave and refrigerator. Bed type preferences are subject to availability and can not be guaranteed. This accessible room features a flat-screen cable TV, desk, and bath rub. Tea and coffee-making facilities are also included. This accessible room features a flat-screen cable TV, desk, and bath tub. Tea and coffee-making facilities are also included. House Rules Holiday Inn Express-International Drive takes special requests – add in the next step! Holiday Inn Express-International Drive accepts these cards and reserves the right to temporarily hold an amount prior to arrival. Please note if paying with cash, guests must pay a USD 200.00 security deposit upon arrival for incidentals. This deposit is fully refundable upon check-out and subject to a damage inspection of the accommodations. Please note any additional guests over 2 guests in a room will be charged USD 10.00 per person, per day directly by the property. Contact the property for details. Please note that cash is only accepted at check out. A valid credit/debit card is required to check in. A damage deposit of USD 25 is required on arrival. This will be collected by credit card. You should be reimbursed on check-out. Your deposit will be refunded in full by credit card, subject to an inspection of the property. Elevator needs a little maintenance for speed. No big deal though. Location, Breakfast, Bed and linen were good. Staff was very helpful. All was god as expected, visited theire tiny gym in the AM for my exercise, used tredmill and some equipment. Great place to stay over night. I did not like that there where not many options for drop off or pick up from Universal with the shuttle service. Close to highway, so somewhat noisy at peak times. The access street (International Road)is very congested making it hard to get in and out of the driveway. Rooms need a little upgrading like the dressers. Not applicable! Everything was great. No shuttle to the airport but thats completely understandable. The staff was still kind enough to reserve a taxi for me to make sure I caught my 6am flight. That I only had time for 1 night! Beds are too high but are comfortable once you get on.